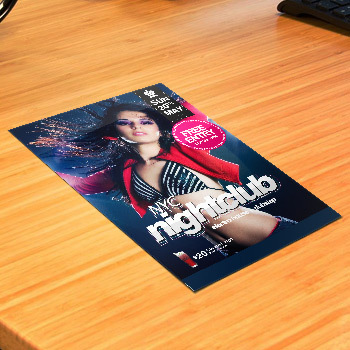 We provide our clients with club flyer printing that stands out as a proven marketing tool for businesses and organizations. The 4x6 standard full color club flyers printing is a perfect source for event promotions, business launches, grand openings and similar activities. These flyers printing can be used to provide information about a product launch or seasonal offers. They can be given as gym passes or guest passes for any social events. 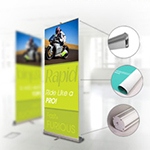 The retractable banner display stand is also perfect for business promotions or upcoming events. 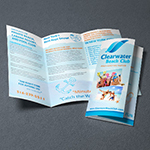 Our low cost club flyers printing serve as party or event invitation. With these flyer printing, you can include images along with information stating the venue of the event taking place. Our 4x9 rack card printing is available in standard and custom sizes, so you can choose the size accordingly. The experts associated to our company provide best quality brochure printing material with affordable prices so you can gather a large audience while being cost effective. 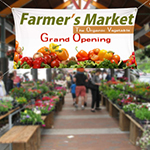 The full color one-sided flyers are a great giveaway option if the information mentioned is concise. They are printed one-sided leaving the back blank. If you have a good amount of information to share, here is what you need. The full color flyers are printed on both sides leaving enough room to provide with necessary information that may be eye-catching. Printed on a heavy duty card stock with matte finish gives an elegant and smooth look to your club cards. Due to the high competitive business environment, it is very important to have versatile advertisement like custom roll labels stickers printing of your business in order to get the target market like handout club flyer printing. 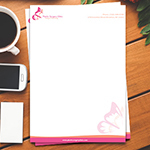 Along with the greater affordability and better discount post card printing, our experts provide our customers with some result oriented marketing tips that will generate huge returns on your investment. The first and foremost principal of a successful business is to know your targeted audience. The 4x6 club flyer printing design and colors would help to grab more clients and business. It is of utmost importance that you try to resonate with the targeted audience and provide them low cost brochure printing with all the necessary information they may need. The more you know your targeted market, the better the results will be. I got my club cards printed for our College event. They came out great and were under our budget. Great work guys! I recommend Printing Xpert to my friends. "Cheap. affordable, and great looking flyers. Thats all I have to say. I' am very thankful that you guys created my flyers. How do I update my information with you? We offer 2 ways to proof your job before it goes to printing process:- Hard Copy Proof Hard copy proof is recommended to confirm the color accuracy of your artwork whenever color accuracy is important. For a nominal charge we will ship you a hard-copy proof to examine for any necessary changes or color corrections prior to printing. The listed prices above for hard-copy proofs include shipping. IMPORTANT: Requesting a hard copy proof will delay your order until you agree upon a specific proof for production. PDF Proof You can view an 1st PDF or Jpg FREE proof that will allow you to double-check the Artwork, Text, Image Resolution, Color, Spellings and Fonts. Printing Xpert Offer First PDF or JPG Proof at no cost means it's FREE WOW! any additional Each Proof will be $5.00 each Print As It The files you uploaded will be printed as the same way they are without any changes.